Great GoogaMooga, a New York City food and music open-air festival, could be expanding to Chicago as soon as August. The Chicago Red Eye reports that festival organizers are looking into Montrose Beach as the venue with possible dates ranging from August 18 to August 28. The festival started last year and returns May in Prospect Park in Brooklyn. Last year’s festival was plagued with overcrowding and long waits for food. Here’s hoping the first-year issues are resolved in May as well as for the possible Chicago offshoot. Great GoogaMooga is a way to highlight restaurant and chefs in the city, while entertaining festival goers with a strong musical lineup. 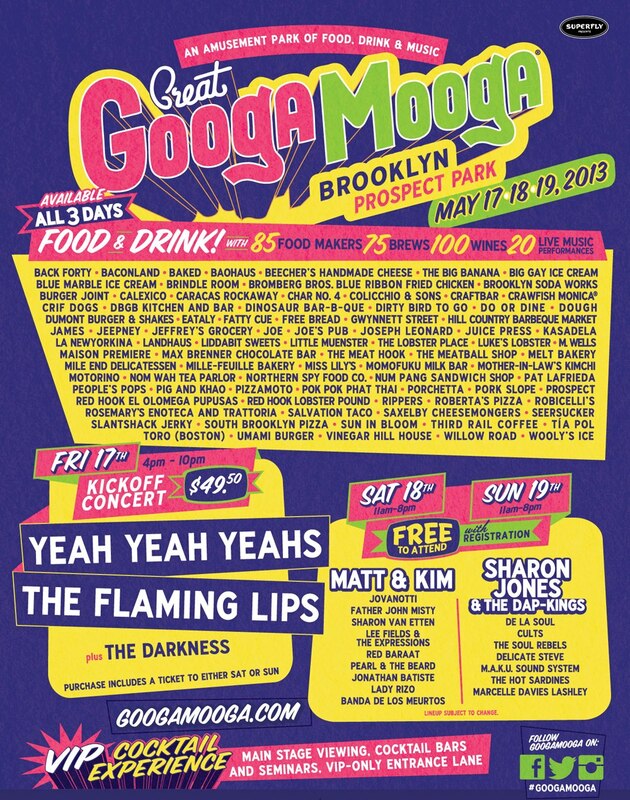 This year’s NYC Great GoogaMooga features the likes of Yeah Yeah Yeahs, The Flaming Lips, The Darkness, Matt & Kim, Sharon Jones & The Dap Kings and more.